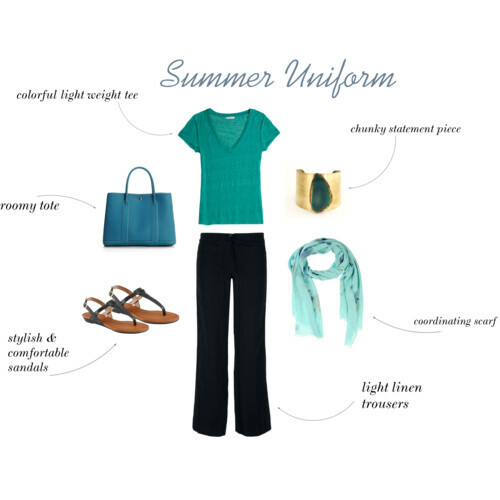 Summer calls for bright colors and comfortable fabrics! A scarf for when the a/c gets out of control. A big tote bag for other summer necessities like sunscreen, camera, maybe even a picnic lunch!